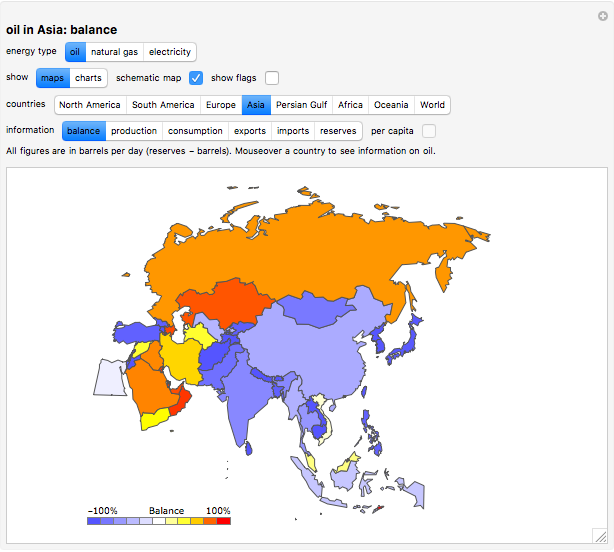 This Demonstration shows production, consumption, exports, imports, and reserves of oil, natural gas, and electricity in the world. Mouseover the map (or country names in the chart) to see the information about countries. 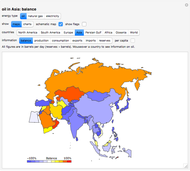 The source of information is the Mathematica CountryData function. Eugene Poberezkin "World Energy: Electricity, Oil, and Gas"